Do you have missing teeth and don’t know what to do? Instead of feeling embarrassed, come to Horsham Dental Elements. We can use dental implants to get you smiling proudly once again! Dental implants are a great solution to missing teeth, whether it’s one tooth or an entire set. They’re different because of how they are placed in your mouth. Your natural teeth are attached by tooth roots, and once the tooth falls out, the root goes away as well. The roots are important because they stabilize your teeth and without them, bone loss could occur. 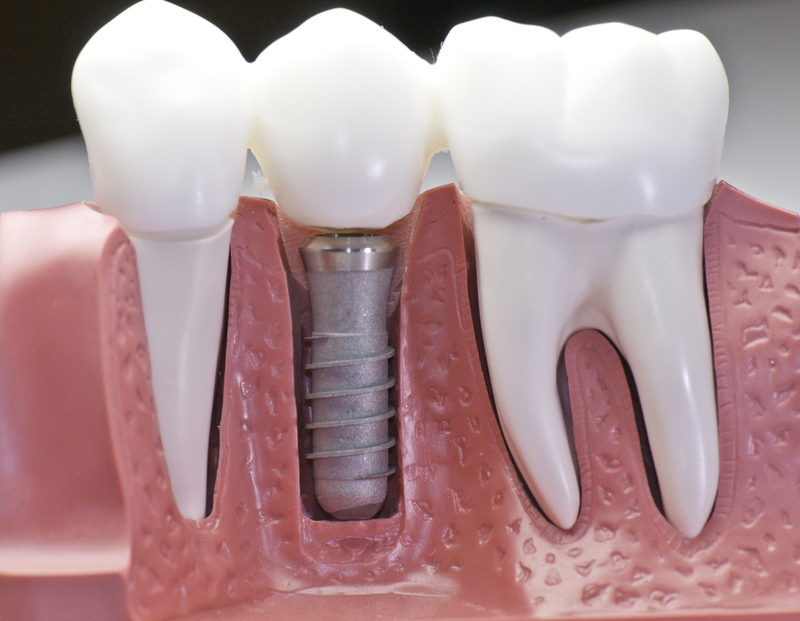 For dental implants, a titanium post is inserted in your jaw bone, which will mimic a root and help the replacement tooth stay in place. Over time, the post will fuse with your jaw bone, stopping bone loss and ensuring your replacement teeth stay strong and in place. Importantly, dental implants have some advantages over some of the existing methods for tooth replacement. While dentures or partials can replace an entire set of missing teeth, they could also become loose and fall out, which could be embarrassing. Crown and bridges are sturdier replacements, but they’re not suitable for a full mouth replacement. Thus, dental implants are a sturdy, longer-lasting option to replace missing teeth. You’ll have a full smile once again and have the confidence you’d been lacking. If you think dental implants might be right for you, call us today to schedule an appointment with Dr. Henkel. Horsham Dental Elements provides comfortable, state of the art dental care from our Philadelphia and Horsham offices. We serve patients from Montgomery, Philadelphia, and Bucks County. Call our office today to schedule your appointment!